If you have only words of praise for the OnePlus One handset, wait until you see its successor, which has a confirmed release date around Q2/Q3 2015. The company posted an image on Twitter illustrating an eraser, a half erased OnePlus One device, a pencil and below it’s written “Time to change” – a teaser that prepares the fans for June 1. Does this mean that the OnePlus Two will be unveiled in a few days? The Chinese company had a successful debut in the mobile industry, managing to crush many of the rival companies that released expensive mid-range or high-end devices. The OnePlus One was a total surprise not only because it has some interesting specs, but because it has an affordable price and sleek software, impressing with the CyanogenMod which skinned Android, offering the users an amazing experience. During this time, other major mobile manufacturers or debutants were struggling to make themselves heard or seen, but in a region like Asia, where there’s a war between the local manufacturers, it’s very hard to create waves, especially if you show up out of the blue with a nonconventional phone. But OnePlus must have caught a gold fish, because things are going great, the current phone is selling well and soon, a successor will hit the market. Could this happen on June 1? According to some reports, it seems that the OnePlus Two prototype went through some benchmarking tests, because in the Geekbench database a phone appeared with a model number A2001. The original OnePlus One model had the model number A0001 and appeared with a Qualcomm MSM8974AC Snapdragon 801 chipset, while the A2001 model seems to have a Snapdragon 810 MSM8994 chipset. 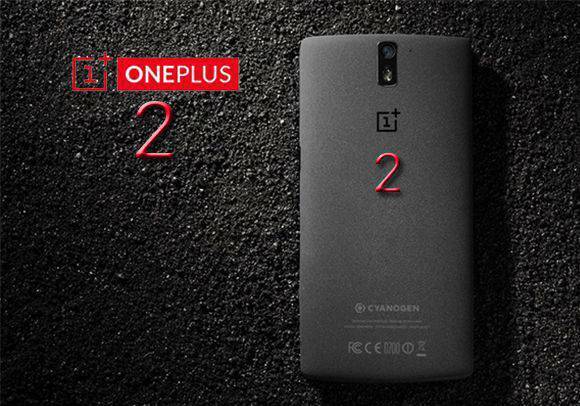 Coincidence or a confirmation of OnePlus Two’s rumored specs? The results for the benchmark test showed a processor with eight cores, but with a restricted clockspeed of 1.55GHz and 3GB of RAM. This is a bit unusual for Snapdragon 810, but since we’re talking about a prototype, maybe the test didn’t push the limits because of overheating reasons. However, this model ran on Android 5.1 Lollipop, which is another clue for OnePlus’s Oxygen OS, which is based on Android. Another phone with model number A2003 appeared in the AnTuTu Benchmark and it had the same specs. This means that OnePlus is testing more prototypes and will launch the one with the best results. 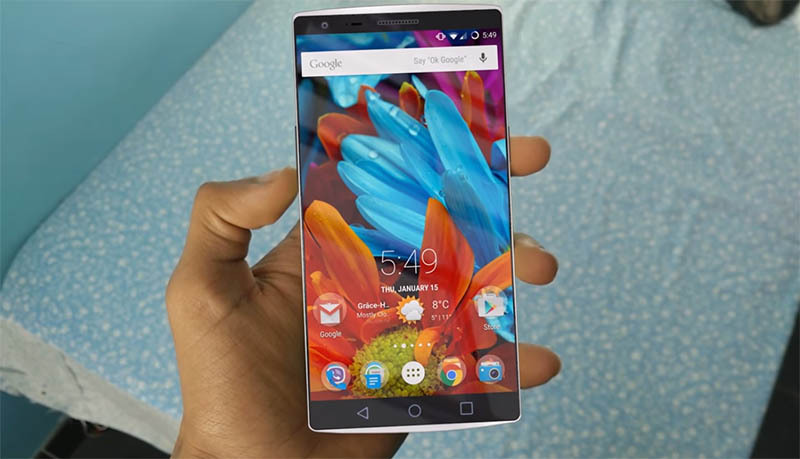 Coolicool, an online reseller, published a list of leaked specs of the OnePlus Two device, and according to the report, the successor might feature a Qualcomm Snapdragon 805 chipset, 32GB of internal storage (expandable, unlike the previous model, but the maximum supported capacity isn’t known yet and it would be interesting if OnePlus Two will support a microSD card of up to 200GB) and a battery of 3300mAh (non-removable). But these aren’t the only rumors about Two’s specs. According to other reports, the phone is expected to be powered by the above mentioned Snapdragon 810 CPU, but might support 4GB of RAM, while the display will keep its size of 5.5inches. The two cameras might be 20MP (back) and 5MP (front) and the LTE support will be wider. The current OnePlus One has a thickness of 8.9mm, it’s 152.9mm tall, it weights 162grams and it comes in two color variants: white silk and sandstone black. The successor will have a refined design, which will feel premium, meaning that the manufacturer might add a metal frame that will lead to a slight price increase. 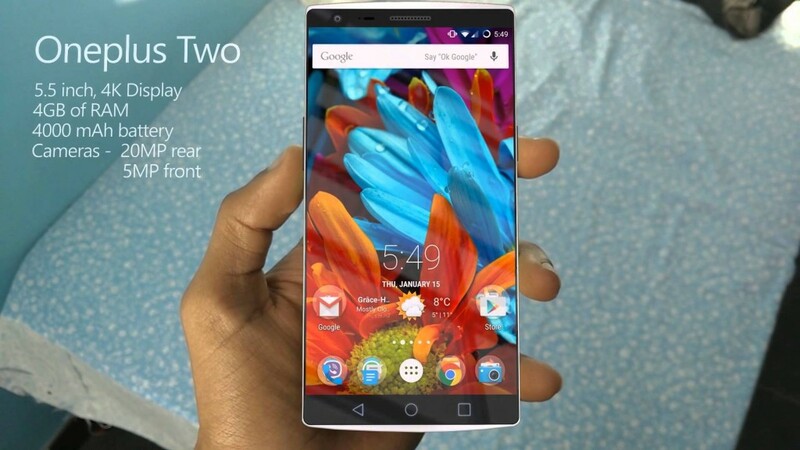 Even so, the OnePlus Two will be much cheaper than other flagships such as Galaxy S6 / S6 EDGE or iPhone 6. The phone is rumored to feature a laser focus fingerprint identification integrated into the home button and the front panel might be similar to that of the Oppo Find 7 device. Also, we might see some capacitive Android 5.0 buttons on both sides. OnePlus announced the addition of Cyanogen OS in December 2013 and released the “One” handset in April 2014, running on this extraordinary software. But, it seems that their paths will divide, because the manufacturer wants to develop its own OS called Oxygen OS, which will be based on Android. The decision to give up on Cyanogen doesn’t really mean that the companies are in war, because the current model is still shipped worldwide with Cyanogen OS. OnePlus explained why they chose to build their own custom OS: they want to offer better localization and faster updates. The new OS won’t be shipped with bloatware, being clean and letting the users download and install whatever application they want. Oxygen OS won’t put pressure on the battery life as it doesn’t use a terrible amount of RAM .